In forex trading, scalping is a strategy that many traders employ to improve their profitability. However, it is important to work with the best low spread forex brokers for scalping in order to achieve success. Further, you should also have a clear understanding as to what scalping is and how you should use it. In this post, we will discuss in detail about the various aspects related to the scalping strategy. Typically, stock traders follow market trends and hold their stocks for many days, weeks, or even months before selling them off. Even day-traders involve in far less number of trades during a session. They focus on latest news and events that impact the price movement of stocks. Scalpers, on the other hand, make use of the technical analysis and price fluctuations in the shorter term for trading currencies. A scalper, typically, will place anywhere from ten to a few hundred trades during the course of a single trading day. Scalping is popular among traders because it has the potential to provide many small profits and help them larger gains. However, scalping is viewed as a high-risk trading strategy because of its frequent usage and employing leverage. 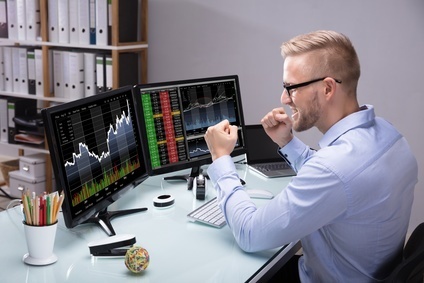 Like other trading forms, scalping is also bound by a few rules and regulations specified by the brokers in order to protect themselves and their clients’ trading needs. However, scalpers get to exercise control and enjoy a great deal of freedom. They can decide their take profit or stop loss order levels and the trading time frame. The scalper cannot have any control over things such as spreads, the stability of the server, and the attitude of the broker towards scalping. Some forex brokers do not allow traders to employ scalping on their platforms. Typically, Electronic Communication Network (ECN) brokers allow scalping. This is because the ECN system operates at high speeds and ensures a no slippage trading environment. Further, scalping is beneficial to ECN brokers because they earn more commissions when traders place more trades. Therefore, if you want to involve in scalping, you must work with brokerages that have put proper regulations in place. Most of the well-established brokers make available an official scalping policy as to how you employ the strategy on their platform. Some brokers make scalping difficult and unprofitable for you. Some others just do not allow you to use this strategy on their platforms. It is, therefore, very important that you have a clear understanding of your broker’s policies prior to involving in scalping. For example, a broker that allows you to trade will usually have a system put in place. This is to protect them from going bankrupt if the broker manages to earn large profits or incurs huge losses. Forex brokers have to provide compensation to liquidity providers for both the profits and losses incurred by their clients. This is why brokers trade against their clients and even out their market exposure. As a result, the brokers remain safe and are not impacted by losses incurred or profits earned by clients. If the brokerage is not competent enough to handle scalping, the trader may experience many problems, including slow servers, deactivated accounts, etc. Actually, this is a very important aspect to be taken into consideration. In some jurisdiction of the forex market, scalping is strictly prohibited. It is, therefore, important that you have a clear idea as to in which jurisdiction the forex broker you are planning to associate with is located. For example, many offshore brokers may not allow scalping. These brokers, often unregulated, are considered unsafe. In jurisdictions like the US, Japan, the UK, Australia, and Cyprus, among others, the regulations related to money, scalping, and compensation schemes are clearly set out. Typically, brokers that allow scalping offer ECN platforms to their customers. Such brokerages offer high-speed operation and help market makers in placing competing bids against their clients, making it easy for them to offer low spreads and allow scalping. ECN brokers offer other benefits such as lower fees and additional trading time. They also ensure privacy and transparency. The speed of the price feeds is also a very important aspect and you should not neglect it at any cost. As a scalper, you would trade many times within a short time period. Therefore, you must have access to the latest quotes in real time. Similarly, you should be able to execute orders without any delay. There should not be any slippage at all. If the broker you have chosen is highly competent and reputable, they would provide you with a clear statement as regards scalping. It would be easy for you understand their stand on scalping. Brokers that hesitate to allow scalping on their platforms are not the right brokers to work with. Brokers that allow scalping ensure an excellent trading environment and offer a stable platform. What is the time available for closing trades? Does the broker make a definitive statement that scalping is viable on their platform? Does the broker allow price arbitrage? If not, it means that scalping is also not allowed. They would often be reputable and very established brokers. They need to be efficient and competent to handle huge numbers of orders. Brokers that allow scalping use state-of-the-art technology. In conclusion, scalping is legal when you use the strategy with the right broker in the jurisdiction where it is allowed. It is not easy to find a reliable and reputed broker that allows scalping. However, there is no need to worry as you can identify the right broker to work with by keeping in mind all of the aspects discussed above.